Much loved by all ages, this cute meerkat is on the lookout! 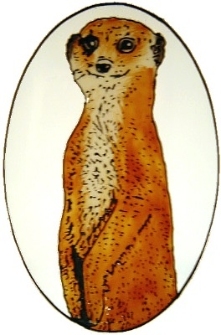 Cute meerkat in an oval frame with clear background. Such a well loved animal in a trademark pose.